This entry was posted on January 7, 2015 by Phoebe Darqueling. It was filed under Entertainment, History, Museums and Exhibitions, Steam Technology, Steam Tour, The City of London, Travel and was tagged with engine, London, steam, steam power, steam punk, Steampunk, Tower Bridge. I recently found a tremendously powerful steam exhibit here in my own hometown of Birmingham Alabama, USA. This is a steel town. There is an iron furnace in the center of the city. Iron is a major component of steel production. The facility is Sloss Furnace. This is a blast furnace. ‘Blast’ has to do with forcing super-heated air into the base of the furnace to achieve higher temperatures. Built in the 1880’s, it was steam power that turned the turbines that produced the blast, or what they refered to as, ‘the wind’. Massive ovens boiled the water to raise the steam that turned these monster turbines. A tremendous hall with eight giant steam turbines produce the wind. These engines are approximately, [guessing} sixty feet tall. This may be one of the largest steam-powered plants in history, and it still stands. It was in operation from 1888 to 1971. 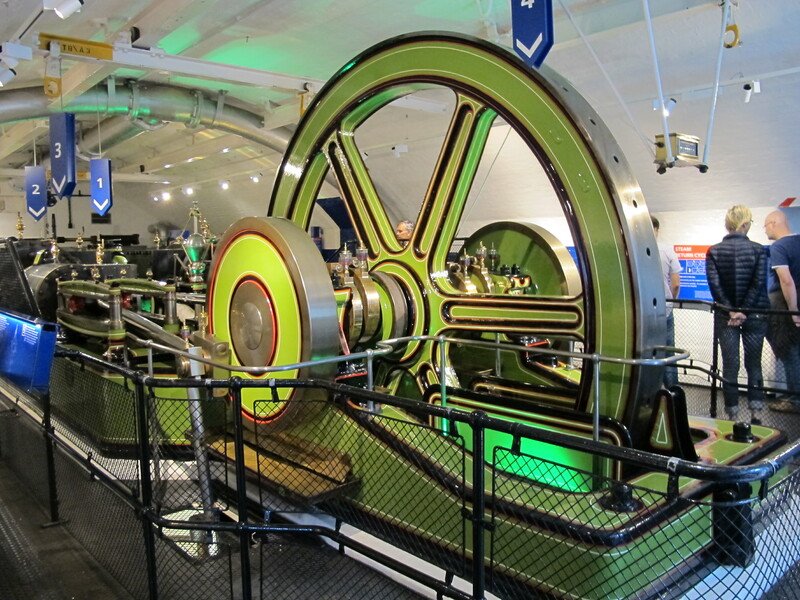 It ran on steam until the early fifties, when two, extremely powerful electric turbines were intstalled. It is a historic landmark now, but is slowly decaying. I have visited it many times, as the admission is free, and find it endlessly fascinating. Yes, the sheer size of these machines is incredible. I like to stand at the base of them and take pictures going up the full height. If I ever find myself in ‘bama I will check it out. The Titanic owns the worlds largest steam engine, but she took it with her to the bottom of the Atlantic.